Find the deal on your workers compensation insurance with an AmTrust quote. Workers Comp Insurance Coverage From AmTrust. AmTrust North America is one of the fastest growing insurance companies in the comp industry. The company has grown from $526 Million in 2006 to over $4.1 Billion in 2014. AmTrust has kept their focus on offering highly competitive rates to low hazard risks. AmTrust can aloes offer a Business Owner Package with their workers compensation solutions so that customers can have all their coverage with one company. As of 2016, Amtrust ranks as the 3rd largest workers' comp carrier in the U.S.
AmTrust offers policy programs with five different pricing tiers in each state, which gives them the ability to offer competitive rates to a wide range of industry classes. They quote a wide range of industry types and we've had a ton of success with artisan contractors, restaurants, and stores. Workers Compensation Shop | AmTrust Ins. 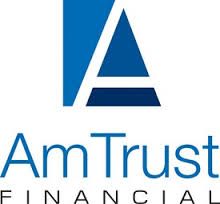 Our agency works with AmTrust Insurance Company throughout the United States. AmTrust has highly specialized programs for non-profit organizations and aloes offers an unemployment tax bond program to enable non-profits to opt out of state required unemployment tax payments. They aloes have a specialized workers comp program for community banks. AmTrust offers Pay As You Go workers compensation in conjunction with our agency and our wholly owned payroll processing service. Find out if your business qualifies for Pay As You Go workers comp from AmTrust. Pay As You Go coverage helps employers reduce the cost of starting a work comp policy and helps improve business cash flow. Buy your workers comp from AmTrust. AmTrust offers some of the very best prices on workers compensation coverage for the industry class codes they target. If your listed in one of the above classes an AmTrust quote may definitely benefit your business. Get started online with quotes from AmTrust Insurance Company and some of our other insurance partners. Or give us a call today at 888-611-7467 to find out if one of our Specialist can help save you money on insurance.